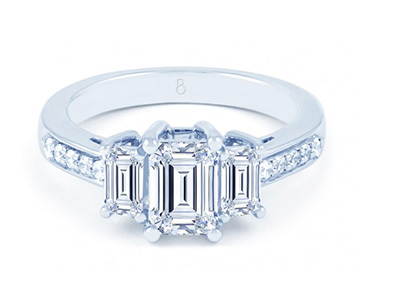 You’ve probably seen this shape on many Engagement rings; after all it’s a classic. 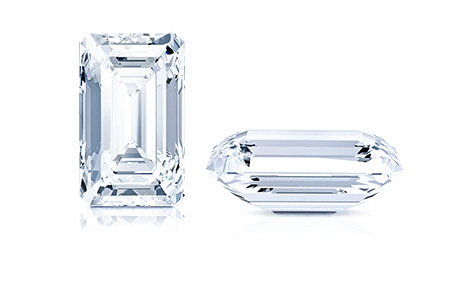 Classic for good reason, the angles of a round shape enhance the fire and brilliance of the Diamond. Here’s an interesting fact: the round brilliant diamonds account for more than half the diamonds sold today! Dating back to the 1900’s this shape is perfect for those who prefer vintage jewellery. The best feature of the emerald shape is that you can see everything that is happening inside the diamond! Did you know? Beyoncé received an amazing 18ct Emerald Diamond ring – worth $5million! Resembling a teardrop – and the fruit – this shape blends delicate and feminine styles. The excellent symmetry of the shape is what makes it so alluring and unique. Here’s an expert tip: wear the pointed end toward the tip of your fingers for a slimming effect on you hand. This is the shape of the famous Koh-I-Noor Diamond. 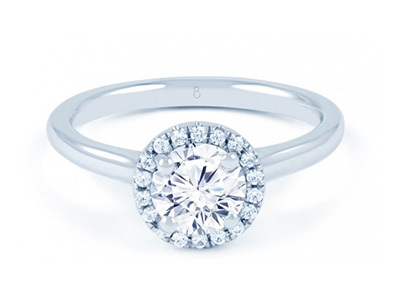 Oval diamonds have fire and brilliance similar to the common round brilliant Diamonds, but with this shape you have something more unique and elongated. Believe it or not, the oldest known diamond shape is the oval, making its first appearance in 1304. This is the unmistakable symbol of romance. Rare and symbolic, the heart shape is a popular feature in pendants and earrings. This is a hard shape for cutters to achieve much like capturing someone’s heart. Heart diamonds were exchanged between royalty for hundreds of years, as a sign of good will and amity. Most often used as an accent stone, trillion shaped diamonds boast stunning and unparalleled brilliance and fire. Their triangular cuts make a bold and dramatic presence when added to designs, further enhancing the larger centre stones. Trillion shaped diamonds were first discovered in 1962! This melodramatic shape is exactly what the name implies: contemporary, elegant and dazzling. The square shape of a princess makes it the perfect choice for modern diamond jewellery. Did you know? This shape was first introduced in London by a cutter named A Nagy. Marquise diamonds show more colour and inclusions than other shapes. Carat for carat, the marquise has one of the largest surface areas, making it a good choice when trying to maximize perceived size. Ready to wrap your brain around this one? The Marquise was named after a mistress of King Louis VX of France. It is a common misunderstanding that the physical shape of a diamond is the same the as the cut of a diamond. 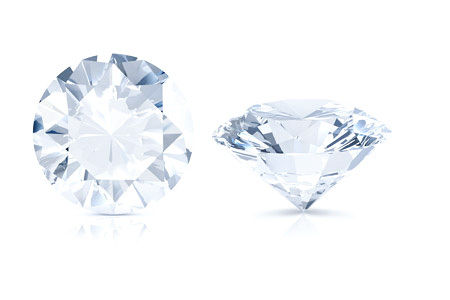 The physical shape of a finished diamond is referred to as its shape; examples include round brilliant diamonds, emerald shaped diamonds and princess shaped diamonds. In simple terms, think of the shape of the diamonds as the shape you see from a bird’s eye view. On the other hand, the cut of a diamonds refers to the proportions of the diamond and how well the facets of the diamond interact with light. The cut of a diamond determines its fire and brilliance. To read more about the cut of a diamond and how to identity a well cut diamond, please read our diamond anatomy section.